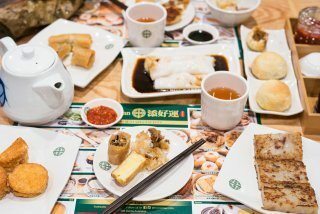 New York city is getting the newest location of Tim Ho Wan, the cheapest Michelin-starred restaurant in the world. The Hong Kong location received a Michelin star for its really incredibly dim sum. All of the dishes that the restaurant serves are made by hand, and change daily depending on what the available fresh ingredients happen to be. The New York location will add some specialties like a vegetable spring roll and French toast to favorites like prawn dumplings, steamed egg cakes, and fried turnip cakes. Unlike the Hong Kong location, the New York restaurant will serve alcohol in addition to food. Despite having a Michelin star the restaurant is still very reasonably priced, with high-quality fish dishes at $5.50 or less. The East Village location has already had a soft opening, and will officially open to the public on January 18.